I have just started a new store on Lighthouse Gifts and Photos to hightlight my lighthouse photographs. This store will be showing lighthouse designs fro my photographs on a variety of items. You will find key chains, mugs, a selection of different bags, and magnets, as well as prints of my photographs. I hope you enjoy this new venue for my work. 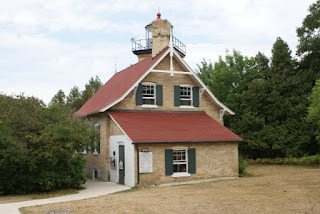 The lighthouse at Eagle Bluff was first operated in 1868. It is located in Peninsula Park near Fish Creek, Wisconsin. For 35 years the lighthouse keeper and his family, which included seven active boys, made sure the light was shining over the bay. To read more and this story and see photographs I took of the lighthouse visit my lens at Eagle Bluff Lighthouse. Do you love lighthouses? My new squidoo group Lighthouse Enthusiasts has a wide variety of lenses abut lighthouses. 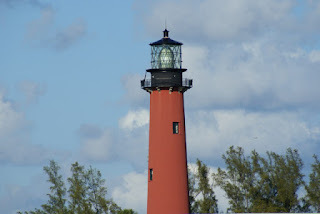 Find lenses about lighthouses from Maine to Florida or perhaps you would like to read a fascinating story about a lighthouse on the coast of Scotland. There are also lenses that feature lighthouse decor and paintings and you will not want to miss the lens on haunted lighthouses. Lighthouse enthusiasts, this is the group to join or just stop by for a visit!